Take the first step with The Buy Force Group in gaining unparalleled levels of purchasing control and leverage that lead to credible, sustainable, financial outcomes for your business. The Buy Force Group is proactive in providing the systems and support to ensure our clients achieve their full operational potential. Buy Force Live enables businesses to harness the volumes of their individual or multi site venues and deliver significant cost reductions. Buy Force Live enables businesses to implement and effectively manage a centrally focused, locally managed preferred supplier network. The adoption of Buy Force Live’s modern easy to operate procurement and operational support systems delivers significant improvements to the execution and management of all sizes of businesses. Are you looking for a solution to your businesses supply needs? Do you want access to systems that will assist you manage your business profitably? Do you need proven systems and tools to assist your business to better manage your current supplier network, BF Live manages all facets of your supplier network. Are you looking preferred suppliers who will offer great service, quality and prices for your business The Buy Force Group has access to over 200 suppliers. Your brand, our proven, secure purchasing and operational management tool that will deliver immediate results to the key performance areas of your business. At The Buy Force Group we believe the supply channel is best managed as a partnership of knowledge, systems and customer service to achieve the best outcome for your business individually. 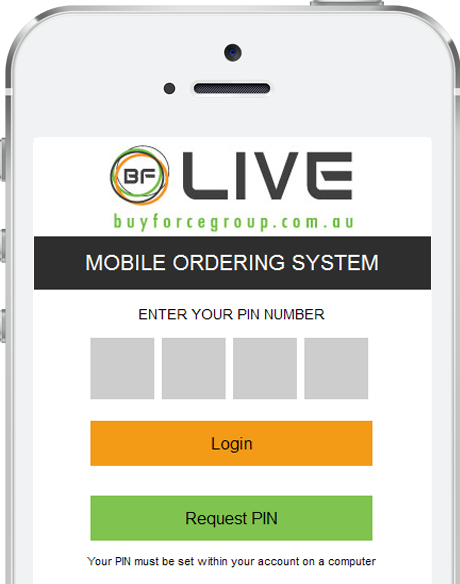 The Buy Force Group supply model benefits for both purchaser and suppliers by creating efficiencies that leads to savings via our online portal Buy Force Live. Leverage Supplier Networks: The Buy Force Group supplier network reaches far and wide, and with over 200 suppliers listed nationally and 200,000 orders placed this year, we are sure to leverage a supplier solution to suit for your individual business needs. My Supply: We know you have great suppliers who have supported your business and in turn you want to continue support them. The Buy Force Group believes in loyalty and provides solutions to assist with the management of your exiting preferred suppliers. Manage Supply: It doesn’t matter if you are a large or small, all businesses need to effectively manage the process of procurement. By adopting the Buy Force Group model you will have access to our purchasing and management tools that will make you look like a pro and your business run like clockwork. At The Buy Force Group we support all businesses to harness and improve their supply channels and provide support platforms that deliver sustainable, measurable operational and financial benefits. We develop and provide a systematic approach to procurement via our client focused user friendly electronic procurement modules. Lloyd Kozlovskis created The Buy Force Group in 2006 when he identified a need for improvements in the way buyers and sellers engaged each other to reach common goals. Back Ground: Lloyd’s background includes national purchasing, state operations manager, field team leader and executive chef. Who is it For: The Buy Force Group is proud to represent clients across a broad sector of the hospitality industry including: Hotels, clubs, aged care groups, franchise groups, non government organisations and independent operators. Get On Board: Contact The Buy Force Group today and start the discussion about how your business will benefit from the professionalism, modern systems and supply solutions that so many other businesses currently enjoy. 2018 © The Buy Force Group. All rights reserved.